The Vegas Golden Knights backstopper has had a phenomenal NHL career since making his first big-league appearance in 2003, including winning a trio of Cups with the Pittsburgh Penguins. Here are some interesting facts (and stats) about No. 29. Among active goaltenders, Fleury is tops in several categories: Playoff games (131), (wins 75), shutouts (14) and minutes played (7,897). He’s even contributed offensively, recording three post-season assists, good enough to tie him for second spot with Braden Holtby and Ben Bishop. The Quebec native made his NHL debut on October 10, 2003, making 46 saves in a 3-0 loss. Eight days later, Fleury notched his first career big-league win, and on October 30 he posted his first shutout, en route to Rookie of the Month honours. On March 12, 2018, Fleury recorded the 400th win of his NHL career in a 3-2 victory over the Philadelphia Flyers. At age 33, he became the second youngest goaltender and 13th overall in history to accomplish the feat. He made 38 saves in the milestone win. 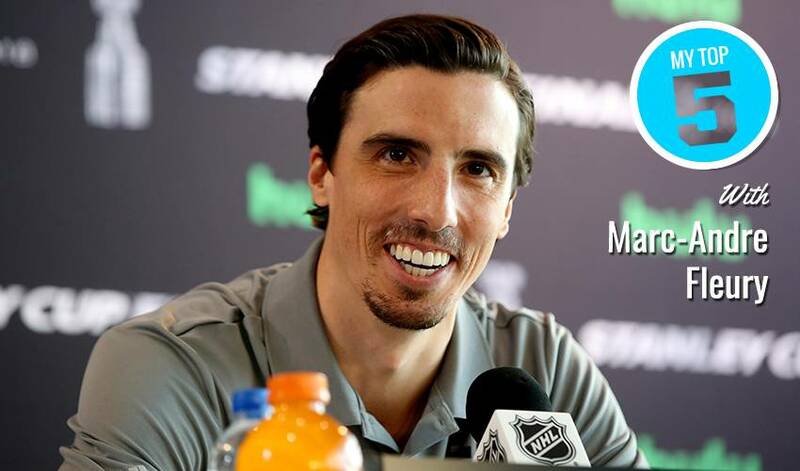 During his days with the Quebec Major Junior Hockey League’s Cape Breton Screaming Eagles, Fleury netted a slew of honours and recognitions, including the Mike Bossy Trophy (Top QMJHL Draft Prospect), Defensive Player of the Year award, along with QMJHL Second Team All-Star and Canadian Hockey League Third Team All-Star selections. Fleury's No. 29 sweater was retired to the rafters inside Nova Scotia’s Centre 200 on January 25, 2008. It was the first time ever for a Screaming Eagles player. His former billets in Sydney still have his sweater from his first year with Cape Breton, when he was 15-years-old.